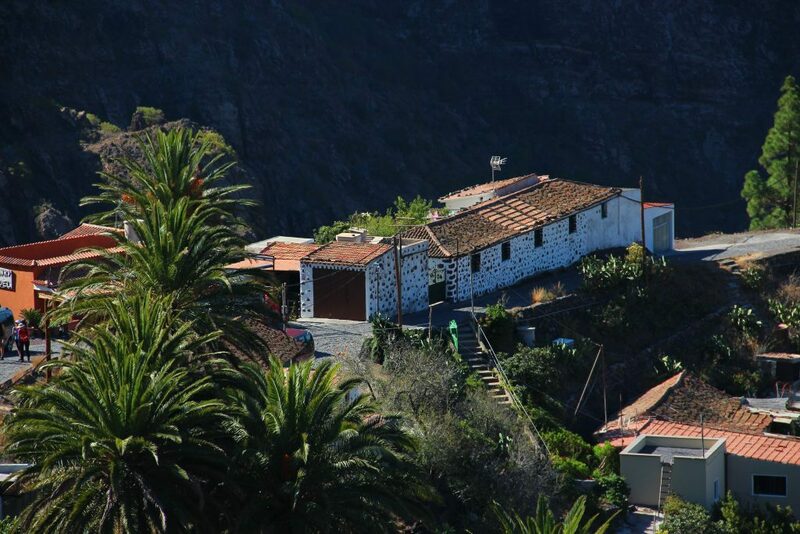 Geographic studies have proven that the Masca Valley is one of the oldest areas of Tenerife. Its abrupt orography combines with sinuous paths, and the effects of erosion are especially remarkable in this landscape. Masca is a distinct place, with an inherent attractiveness, marked by a ground of extreme characteristics and even surrounded by some controversy. Is it true that this town was funded by pirates? Some legends tell that they accessed from the beach and ascended the ravines through some paths –which nowadays are one of the most popular tourist interests of this area–. This hidden place would be at the same time a haunt and a smuggling point. Will all of this be true? Certainly, the theory adapts to the landscape characteristics. Would you like to discover this abrupt place, away from all kinds of civilization? StarExcursions offers you the chance to visit this recondite area with Tenerife Masca excursion. A trip to the heart of the ravines that exist in the northwest side of the island. 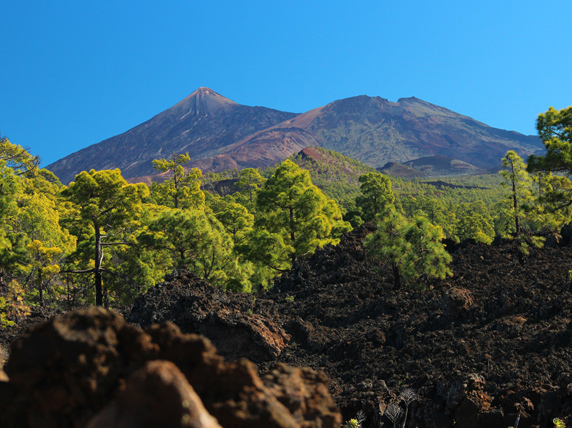 But, before that, you will also be able to discover the centre of the island: Teide National Park. 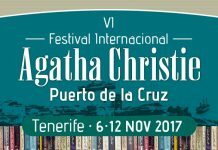 It all starts in the south of Tenerife, the outset of the journey. But before arriving to Teide National Park, we will do a previous stop. After having crossed the municipality of Arona, we will reach the village of Vilaflor, better known as “the highest town of the Canary Islands”, and also one of the highest of Spain. 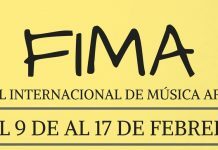 But there are more interesting things than this fact: we will walk through its tiny streets and visit its parish church. After this short visit, we will get back to the car and we will cross Corona Forestal Natural Park, a huge forest which surrounds Teide National Park. It is some kind of forest-wall, a marvelous landscape composed by natural and geographic contrasts, in which the canary pine has a main relevance. With the help of the knowledge brought by the tourist guide, we will be able to study in deep the peculiarities of these mountain areas. We will enter Teide National Park through Boca de Tauce, a natural lookout spot in which we will be able to observe Teide’s “little brother”: El Pico Viejo (“The Old Peak”). It is 3135 meters high, so this mountain is the second-highest point of Tenerife and the whole archipelago. This mountain combines with El Teide itself, and both become a spectacular landscape to admire. We will do so at another stop of the route: El Llano de Ucanca. It is an iconic view of the canary geography, but we can improve it by adding Los Roques de García, a set of rocks very well-known because of their peculiar shape. Altogether, it is one of the most beautiful landscapes you will see in your life! The next stop is an abandoned place which is very representative of Las Cañadas del Teide. We are talking about Las Minas de San José, an old quarry in which piedra pómez was obtained (a type of rock widely used in the whole archipelago). Nowadays, this area has a radically different use. 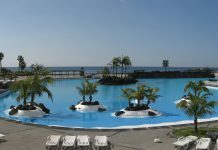 You might associate the Canary Islands to beaches, sun and hot weather, and of course this is not a mistake, but in this archipelago there are many climatic differences, depending on the part of the island. And, believe it or not, snow exists in Tenerife. In winter, Teide National Park is covered with snow, because of the altitude, and the residents of this island want to enjoy this circumstance. Because of that, this old quarry becomes an improvised ski slope you might be interested in using. Here is where Teide National Park’s visit comes to its end, but Tenerife Masca excursion is still alive; there still are lots of things to discover! As we described at the beginning of this text, Masca is a wonderful place to visit, and that is what we are about to do. To achieve this goal, first we have to get back to Boca de Tauce, where we will take another road, which will lead us to a geologically younger zone. There, you will be able to observe some younger and less well-known volcanos. After this, we will enter one of the oldest zones of the island, where the Valley of Masca is placed. 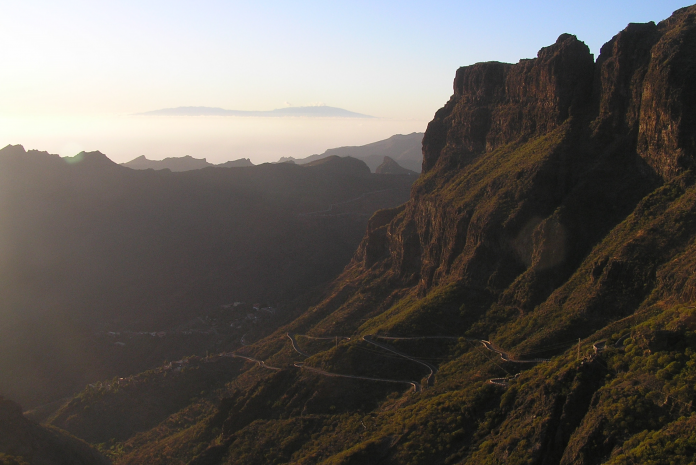 At this point of the route, the name of Tenerife Masca excursion starts to make sense. 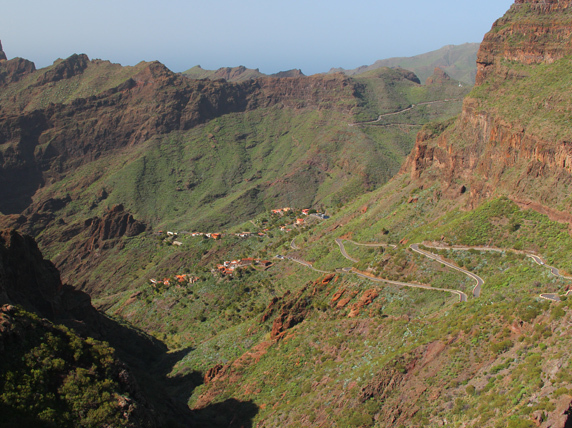 After having crossed the towns of Chío and Santiago del Teide, we will descend to the interior of the Valley of Masca. This small town, which barely has 100 inhabitants, is a location placed between abrupt mountains and deep ravines. Altogether, it is a tremendous landscape. We will drive through a sinuous road to discover all the different aspects of this inhospitable area. Here, its inhabitants have learnt how to adapt to such demanding environmental conditions. The reward is its astonishing views and the chance to live a calm life, surrounded by nature. 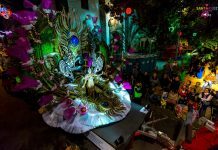 When we arrive to the village itself, we will stop there, in order to visit its tiny streets and discover the kind of life that is developed in this region of Tenerife. After this journey through the northwest mountains, it is time to return to the south of the island. We will drive back through the same roads we arrived before until we reach the town of Santiago del Teide, where we will take a detour which will lead as to the starting point, which is also the place where the excursion comes to its end. After an intense journey, filled with environmental contrasts and wild beauty, the oddity finishes, but it is worth it. Join Tenerife Masca excursion and enjoy the natural diversity hidden in the different areas of Tenerife. You won’t regret it. The excursion is between 5 and 6 long.